As a young mom, I wasn’t always a fan of the word homemaking. I had bought into the idea that homemaking needed to be difficult and feel like servitude. The word itself felt antiquated and, when mixed with the “do it all and have it all” culture of modern-day motherhood, the idea of being a homemaker felt downright stressful. As I matured in my motherhood and started to embrace another popular mantra, the idea that striving for perfection is a recipe for disaster, I realized I had created a narrative around homemaking that existed only in my mind. In fact, I realized that the best way for me to approach homemaking wasn’t to focus on the house I was keeping, but on the home I was striving to cultivate. You see, what stands between us running our homes the way we want and designing a life that feels comfortable and joyful isn’t how well we fold towels or wash the dishes. 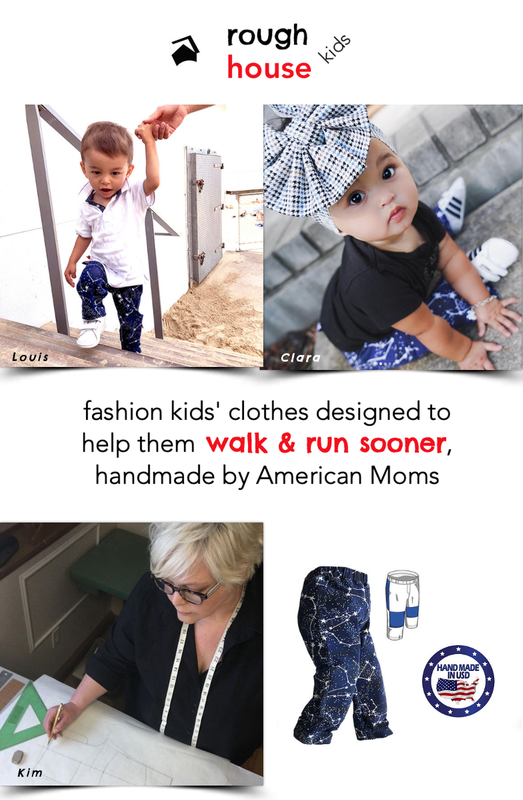 It’s our ability to set achievable goals in motherhood without the shroud of perfectionism covering everything we do. So, I coined the term “homemakerish” and started sharing it with the moms I was serving in an effort to help them (and me) ditch the idea of perfection. What is a homemakerish mom, you might be wondering? A homemakerish mom gives her all without having to be everything to everyone. A homemakerish mom understands the importance of routines in her house, but is flexible enough to let them go when life throws a curveball. A homemakerish mom isn’t concerned with what the neighbor lady thinks about how clean her baseboards are. She’s cleaning baseboards because she wants to. 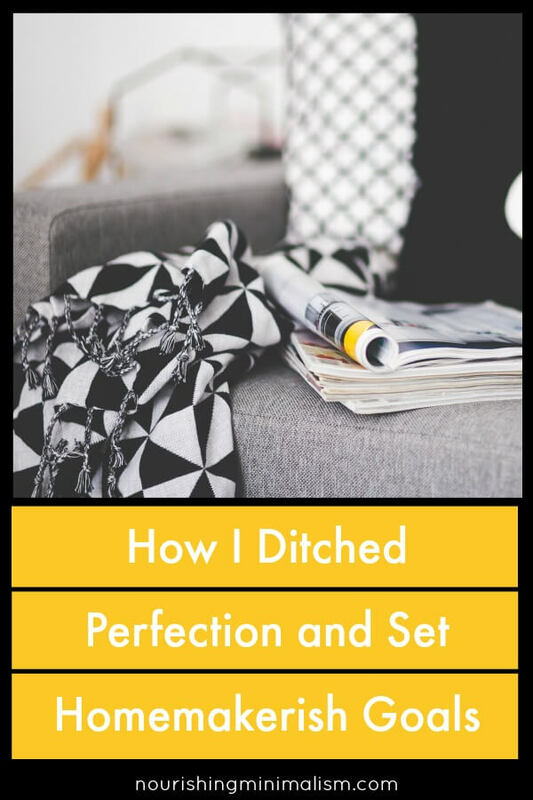 I soon found that ditching the perfectionism goal was one thing, but creating achievable homemaking goals was still a bit of a pipe dream for many moms, including myself. Funny enough, I’m a goal-oriented person by nature. I was the nerdy girl in school who looked forward to the first day when we’d finally get our brand new agendas. Planning and goal setting gave me purpose. So, when upping my homemaking game, I recognized that before any cleaning, tidying or organizing could happen, I needed to set some goals and learn how to achieve them. Goal setting sounds like such a simple task, right? But, too often the goals we set for ourselves are more like dreams or hopes. Or worse, we set a daily goal to complete our to-do lists. Our to-do lists should get us closer to our goals, but they shouldn’t BE our goal. A goal is a destination we put into our life’s GPS. We can’t know what roads to take if we don’t know where we want to end up. So, I started thinking big picture and then whittled my goals from that. Instead of asking myself, “What do I need to do to get where I want to be?” I started asking, “Who do I need to be to get where I want to go?” Suddenly it wasn’t about creating and finishing perfect to-do lists, it was about becoming the kind of person, the kind of mom, that would accomplish those goals, big and small. I realized I cared far less about having a perfectly clean home, and much more about being able to welcome friends into our home at a moment’s notice. I was less concerned about cooking dinner from scratch seven days a week and more about being relaxed and able to connect with my family when we sat down to eat. I could care less about having perfectly folded laundry and empty laundry baskets at all times, but it’s super important to me that my family can grab an outfit quickly so we can get on with our day. So, after answering the big picture question of ‘Who do I need to be?’, I was able to set some pretty realistic goals for myself and my family. You see, welcoming friends and family into our home is a goal I can be far more committed to than cleaning every room, every week. So, I just needed to figure out the steps to keep my home presentable on a regular basis without being a hot mess, myself. Instead of shooting to have the whole house in immaculate shape, commit to cleaning for just 30 minutes a day. Instead of purging the entire house all at once, choose to declutter one room at a time. When time is tight, focus on the ‘Domino Effect’. Identify the one part of your house that makes keeping the rest of the house clean and organized way easier. For me, it’s our entryway. For others, it’s the kitchen table. Think hard about the one spot that if kept clean and tidy would help keep the rest of the home that way, as well. Then, put that one spot on your daily tidy up list. And, instead of setting and implementing a new meal planning, cleaning, laundry, and decluttering system all at once, choose the one that will make the biggest difference in your home and conquer it first. So, now that you have some homemakerish goals in place, you can move forward with achieving them. As you do that, though, be warned! The claws of perfectionism have a funny way of wrapping themselves around you, especially when you are evaluating the work you’ve done. So, keep your homemakerish goals front and center, celebrate your small wins, and focus on your progress. The momentum of what you’re achieving will be the energy that carries you forward to achieve your huge goals. You are so capable, mama. We all are. We’re capable of creating and cultivating beautiful homes that don’t fill our hearts and tummies with worry and stress. 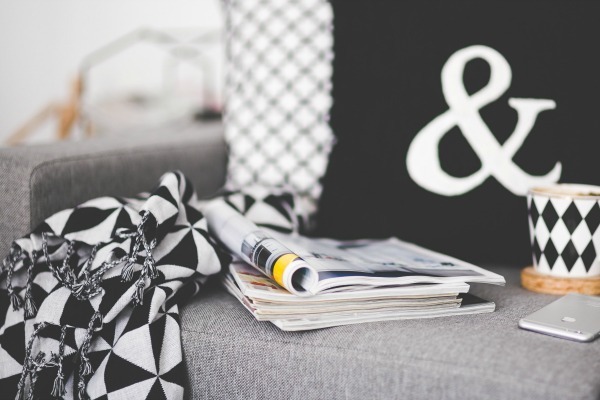 Becoming homemakerish allows you to design a life that feels good for you. The ish is your permission to be imperfect in the eyes of others knowing that you’re perfect enough for your family. Kendra hit the nail on the head with this one. Perfectionism has held me back so many times. It wasn’t until I allowed myself to mop the floor “imperfectly” that it got mopped regularly. It wasn’t until I started decluttering for 10 minutes, instead of waiting for a time when I would be able to do ALL of it, that I began to make progress in decluttering. “Most of us aren’t interested in daily ironing and baking from scratch on the regular, but feeling like you have it together would be pretty nice. What if you sat down to a hot cup of coffee in the morning, looked around your house and you didn’t feel an ounce of overwhelm? If you relate to what Kendra talking about, check out her wonderful course on Homakerish U where she provides awesome printables, specific goal setting, how to own your time, and how to manage a home- from meal planning, routine building to deep cleaning, Kendra has it covered. Kendra Hennessy is a home management expert, podcast host and the founder of Mother like a Boss, where she helps busy modern moms become homemakerish. 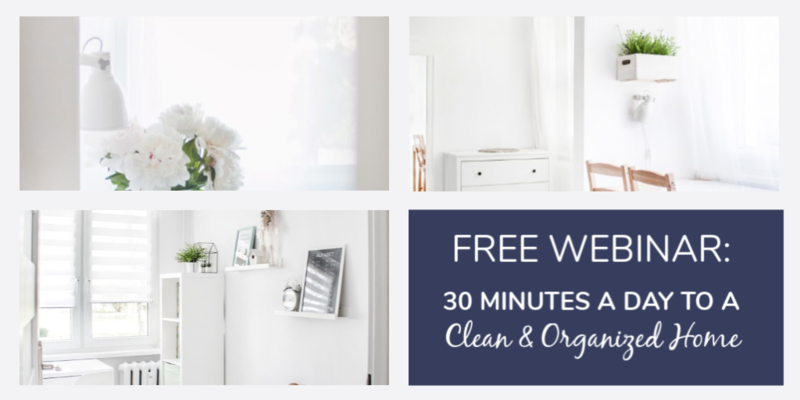 Her mission is to redefine homemaking in the 21st century and make the difficult and tedious parts of running your home smoother through systems, routines, and mindset shifts. She lives in upstate NY with her husband Adam and their two spunky kiddos, Ava and Everett. Kendra is a Girl Scout co-leader, quoter of The Office and coffee junkie. She loves giving support and encouragement to the moms of the world and giving them the confidence they need to enjoy life as a mother. I found Kendra earlier this year and have learned a lot from her. Her podcasts are really inspirational and motivating. I’ve listened Episode 25 – “When grace becomes an excuse” a number of times! I left perfectionistic tendencies first when I started homeschooling two children. I left it completely now that I am 65, have bad knees and am doing EVERYTHING literally by myself since my husband’s disabling stroke has left him unable to do anything except urinate by himself, get himself water to drink and move it about the house in the loop on his gait belt, and feed himself. He can partly dress and undress himself, and that is it. I am just way to overwhelmed to be a perfectionist. I just want to encourage other women, we often have to change our needs and desires so we can meet the needs and desires of others we hold dear. Perfectionism is not nearly as important as people.